Pack your bags for the ultimate East Africa Safari Adventure! 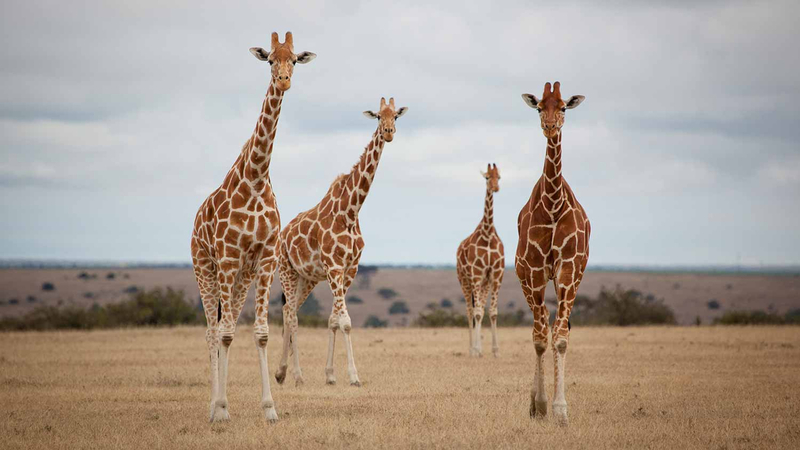 Set along the picturesque east coast of Africa, Kenya and Tanzania are the original home place and iconic heartland of 'safari' and, of course, home to the Great Migration. This itinerary offers a complete discovery of the local wildlife and culture, immersed in the secluded and spectacular wild. Admire the vast and scenic landscapes, and track the herds of animals in their natural element. 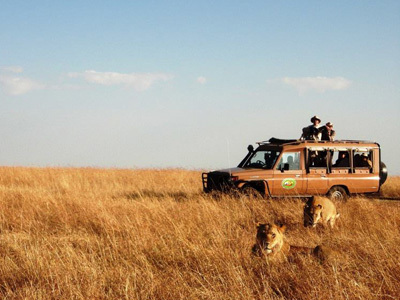 Stay in various unique lodging experiences, while encountering the “big five.” Let your safari be captivating and stress-free, so your only job is to savor the moment and enjoy. This exclusive group adventure is scheduled from SEPTEMBER 13, 2018 to SEPTEMBER 24, 2018 with limited spaces available. Welcome to Kenya! Upon arrival at the airport in Nairobi, you will be greeted by a local representative and given a short safari briefing about tour upcoming adventure. After the briefing, you will be transferred to your hotel conveniently located near the airport, for a smooth transition into the start of your trip. Get settled into your room, rest, relax and enjoy and enjoy your free evening before getting some rest for your journey ahead. After breakfast and check out, depart Nairobi and head southwards to the Amboseli National Park to arrive for lunch. Enjoy an afternoon game viewing drive in the park. Amboseli National Park lies at the foot of Africa’s highest mountain, Mt. Kilimanjaro (19,340ft). The mountain dominates every aspect of the park and you can get the best views of its snow-capped peak from Amboseli. The parks fragile ecosystem supports a variety of game and is famous for its large herds of elephant. Swamps and springs, fed by underground rivers from Kilimanjaro’s melting snow, offer a watering place for the wildlife and birds during the dry season. There is plenty to do, including game viewing, walking, visit a Maasai village or visit the Amboseli Research, the longest study of wild elephants in the world. Spend the day within this beautiful park viewing wildlife, birds and enjoying the natural ecosystem that exists within this park as you photograph the scenic landscape which characterizes this park. During the rainy season the vast plains turn a vibrant green color drawing in hundreds of birds and little mammals. There are five different habitats in Amboseli: open plains, Acacia woodlands, thorn scrub, swamp and marshlands. This allows for excellent game viewing all year round. Today you cross the border into Tanzania. There you will be met by your dedicated driver guide who will be accompanying during your time in Tanzania. After clearing customs and immigration procedures, you will drive for 120 KM distance to Arusha Coffee Lodge ‘Shanga experience’ for lunch. Then visit the Shanga shangaa workshops, located near the lunch venue. Here you will be given a guided tour of the premises educating you on all the aspects relating to this wonderful project. The aim of Shanga Shangaa is to provide full time employment and training to help the locally disabled Tanzanian’s by creating unique bead work and glass work. There is also the opportunity to give it a go yourself, and indeed purchase some of their products at their shop on site. After lunch, you will slowly make your way to Acacia Lodge which is ideally located a short drive from the Ngorongoro Conservation area. Get up early to make the most out of your day in the Ngorongoro Crater. Ngorongoro Crater is a deep, volcanic crater, the largest unflooded and unbroken caldera in the world, measuring about 20kms across, 600 meters deep and 300 sq kms in area. The high walls of the crater itself, serve as a natural enclosure for an abundance of wildlife. There is a large resident population of varied ground game with the very real chance of you being able to see the "big five'. Among the notable birds are Lammergeyer, Vereaux's Eagle and Egyptian Vulture, which make their home in the highest of the crater wall, the beautiful Rosy-breasted Longclaw, which appears on the plains after rains and flocks of lesser and Greater Flamingos which are spasmodic visitors to the crater lakes. Return to your lodge before dusk, and in time to freshen up before dinner. Today the highlight of the safari begins as you check out of your lodge and head to the famous Serengeti National Park where you will be hosted at a camp located in the Central Serengeti. On the way, you will have a chance to visit one of the world's most important prehistoric sites, Olduvai Gorge, for a tour and lecture. Serengeti National Park is Tanzania’s oldest and most popular national park. Its name means 'endless plain' in the Masai language. It is from here that massive concentrations of wildebeest, zebras and other animals commence the annual Great Migration in search of pastures new, providing one of the greatest natural spectacles to be found anywhere in the world. You can watch golden-maned lions stalking the migrating herds, spot leopards at rest in trees at dusk and take a hot-air balloon tour at dawn as the sun’s golden rays illuminate the land. Today, you will game drive to the Northern Serengeti. The Serengeti National Park is probably the best place on the planet to spot large game. Your days here will be spent on different game drives searching for prides of lions, cheetah, leopard and much more! In the evenings, you will return to your beautiful tented camp for stories and dinner. Enjoy a full day of wildlife viewing, with morning and evening games drives in Serengeti National Park. Enjoy quiet evenings by the camp fire and the exclusivity of absolute comfort combined with the authenticity of a night spent in the African bush, an extraordinary experience for all nature lovers. After breakfast and check out, you will be driven the short distance to the Kogatende Airstrip where you will board your scheduled flight to Tarime, near the Tanzania-Kenya border. Upon arrival at Tarime Airstrip you will be met and transferred to Migori Airstrip (transfer arranged by Coastal in shared vehicle) approximately 1 hour for a scheduled flight to the Masai Mara. On arrival in the Mara, you will be greeted at the airstrip by the Camp’s driver guide ready to proceed to your camp with a game drive enroute. When you arrive at the camp you will be met with an ice cold drink and a given a run down on how the camp works and what to expect. After check in you will be shown to your tents. After a light lunch you have the chance of heading out on your first Mara game drive. Mara North Conservancy is a private wilderness area that forms the north-western zone, bordering the Masai Mara National Reserve. The world-class conservancy is a partnership between a few member camps and over 800 Maasai landowners that guarantees an exclusive safari while minimizing the impact on the environment local communities. Throughout the year large numbers of herbivores such as elephants, giraffes, zebras, Thomson’s gazelles and impalas seek the area for water and grazing. Return back to camp in the evening for dinner providing you the perfect opportunity to look back at your day and relive all those memorable highlights. As the sun rises on your first morning in the Masai Mara you are woken to the smell of freshly brewed coffee which will help kick start you for your first morning game drive. The early mornings are one of the best times to view the animals as this is when they are their most active before the heat of the day sets in. You can either have your breakfast out in the bush or you can return to the camp for your full breakfast. If you return to camp you may wish to go on a walk after breakfast as Karen Blixen Camp is surrounded by hidden treasures that your guide will be happy to point out. Later in the afternoon set off on a game drive with some drinks and bitings, so you are all set to have a sundowner (extra cost!) out in the bush. Back at camp dinner preparation is in full swing and there is just enough time to have a hot shower before the first course is served. This morning it’s another early start as you set of for the gates of the Masai Mara National Reserve. With a packed picnic lunch, you are free to spend the whole day exploring another part of this famous conservation area. Visit the Mara River and ask your guide to show you the regular river crossing routes and then start planning your trip to return for the famous migration. As you arrive back at camp after a long day, there may be time for a quick swim or a walk before the sun starts to set on your final day in the Masai Mara. After breakfast you will be transferred to the airstrip in time for your local scheduled flight back to Nairobi's Wilson Airport where our representative will be waiting to take you either to the Jomo Kenyatta International Airport to check in for your flight home or to your Nairobi hotel (please note accommodation for this evening in Nairobi is not included in the package but can be arranged upon request). Explore the endless plains of the Serengeti from Kubu Kubu Tented Camp. This camp is strategically located to ensure that all areas of the Serengeti are within reach for guests, including legendary locations like the famous Maasai kopjes, the Museum of Olduvai Gorge, Seronera and the Grumeti River. It has been designed with a modern African decorative style that creates a fresh and bright atmosphere, but very cozy and with the right amount of luxury. Guests can attend to the show of the Great Migration from the comfort of their tents. 25 spacious tents with private bathroom (bucket shower, wash basin and toilet) and a double bed or two singles. Solar energy electricity. Situated in one of the prime areas of North Serengeti, the Mara River Tented Lodge assures the intimacy and exclusivity for those wanting to experience the Serengeti. The 15 spacious en-suite tents offer absolute comfort, exclusivity and a genuine African bush experience. In the central restaurant, you will be able to enjoy exceptional food and wines, and the cozy lounge area has been creatively designed. There will also be a swimming pool in which to relax after an adventurous game drive. Internet access will also be available in the camp with Wifi in the central area for your convenience. Karen Blixen Camp in the Maasai Mara offers an authentic ’yesteryear’ experience. Set on the bank of the Mara River, the location is spectacular, with the great Mara plains behind the camp and the impressive escarpment and Mara River in front. Throughout the day, zebras, elephants and hippos come to drink from the river. The camp spacious tents set on large mahogany platforms – each with a veranda from which one can enjoy an afternoon siesta taking in the wonderful surroundings. Karen Blixen Camp comprises large luxury canvas tents, each placed with privacy and undisturbed view along the Mara River. The stylish restaurant, the reception, the lounge and bar and the gift shop with internet are set on a raised wooden deck and furnished with accurate reproductions of Karen Blixen’s private furniture to fit in with the cozy atmosphere.